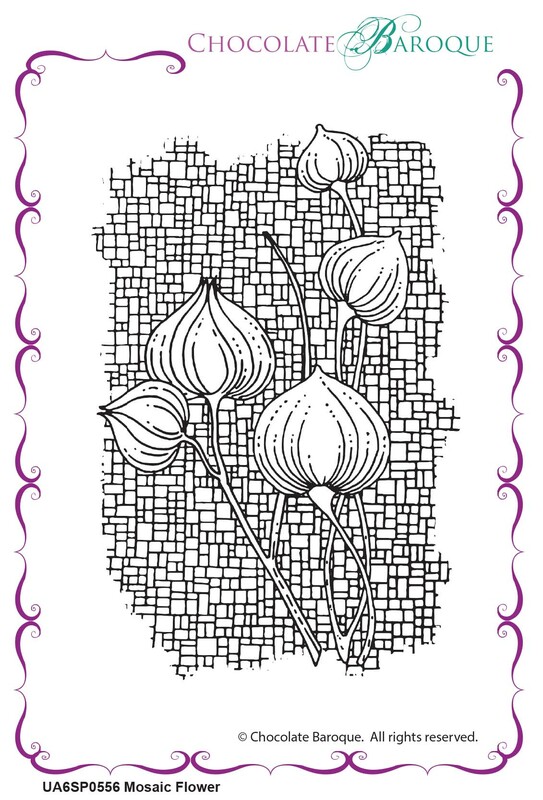 This individual rubber stamp features a collection of buds on stem set against a mosaic style background. This large stamp can be used as a topper for your cards and projects but would also make a fabulous inclusion on a mixed media canvas. 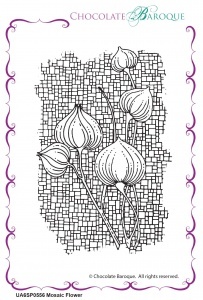 Lovely stamp for making stylish, quick and easy cards. Recommended. Beautiful stamp with a great crackle effect background. 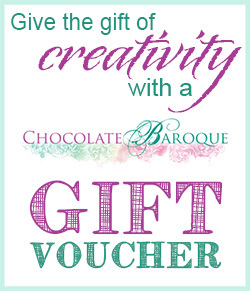 I've not had a chance to use it yet but many ideas buzzing around in my head + it's Choc' Baroque I know it will be good. Lovely & unusual. 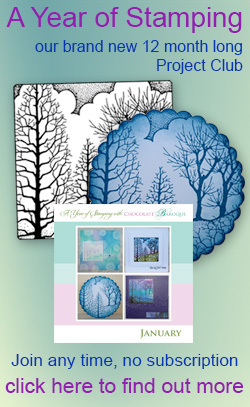 You can't go wrong with a Chocolate Baroque stamp for unique designs with high quality. Beautiful stamp, never disappointed with my purchases, and delivery is great. A great company.